Madeira is famous for its temperate climate, vibrant flora and soft sea breezes: our spa has been designed with this spirit in mind. Enjoy an aromatherapy massage, heady with the scents of lemon and bergamot, or detox with a mud mask. Treatment rooms offer private terraces with ocean views, so the island’s beauty is never far from view. Join us from 30 August - 1 September 2019 as we dedicate a whole weekend to zen. Enjoy reinvigorating rituals surrounded by our subtropical gardens. Take part in expert-led aromatherapy workshops. Unwind with outdoor yoga or find balance on the waves as you test your stand-up paddleboard skills. Over three relaxing days at Belmond Reid’s Palace, you’ll get a true taste of our wellness way of life. Our products use only the purest natural ingredients for maximum therapeutic effect. We have scoured Europe for the finest spa products to complement our range of treatments. Aromatherapy Associates make products that balance body and mind; Natura Bissé is renowned for its nourishing elements. 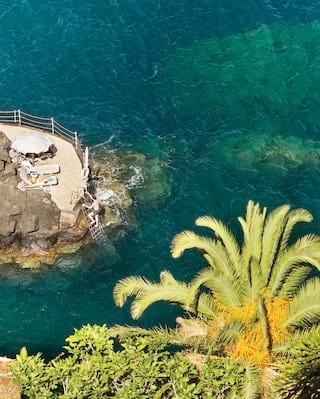 Treat your mind, body, and soul to some serious TLC at this spa hotel, Madeira’s finest.